Remarketing AdWords campaigns are a crude sledgehammer to crack a nut - Did You Mean? 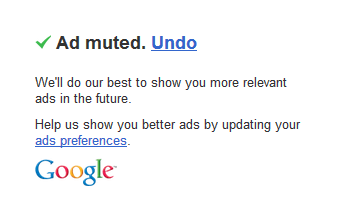 Smart for the advertiser, presumably profitable for the ad broker such as Google, but kind of annoying for us. Ads are shown to visitors who are known to have visited the website of the advertiser recently. That sounds like a good idea, but it’s slightly flawed and here’s why. The objective behind remarketing is to ensure that the brand stays foremost in the mind of the potential customer during the buying decision making process, which may take weeks. Or it can simply be a brand awareness exercise. However, from the web user’s perspective, the flaw in remarketing campaigns is that the advertisers have no way of knowing what I’m thinking or why I visited a website. Did I visit their pricing page because I was really interested or was that the point at which I decided their product was not a good fit for me. Therefore they may show me ads for products I’ve made a decision NOT to buy. Brands and products I have ticked off the list of potential purchases continue to be shown to me. Google have managed to insert a Google+ layer over their ads so we can show appreciation for advertised products on their social network ( shouldn’t it be our social network? ) so isn’t it now time to add a “don’t show / won’t buy” button to ads? For the first time I’ve seen the “Mute this ad” button in the top right corner of a remarketed ad. I agree… I hate this trend. If I haven’t bought the item, then shoving it down my throat everywhere I go on the net isn’t going to make me – and if I’ve just bought one, shoving it down my throat everywhere I go isn’t going to make me buy more. Grrrrr…..